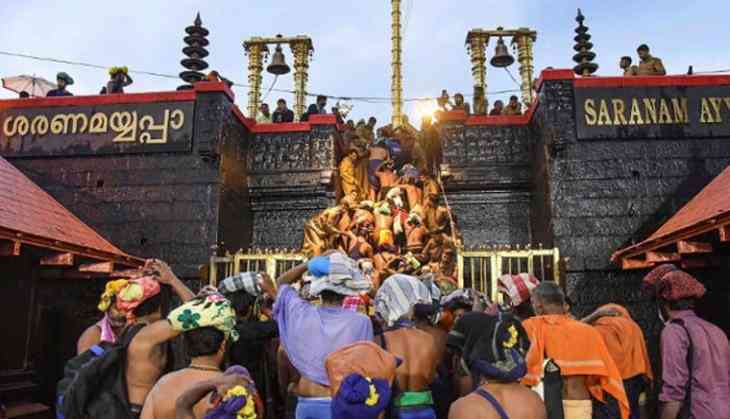 The Supreme Court today cleared a final date of hearing all the review petitions in the Sabarimala temple case and has finalized February 6, after the case was postponed from January 22. Kerala has been on toes since the judgement of the Supreme Court came, which allowed the women of all age group to enter the temple premises, in a 4-1 landmark verdict where Justice Indu Malhotra was the lone dissenting judge. The Kerala has witnessed several riots and communal violence incidents while the locals and devotees protested against the implementation of the order. The CPIM led Pinarayi Vijayan’s government had accepted and welcomed the apex court’s decision and said to follow it. Although it was a Catch-22 situation for other parties to dive in and the BJP, Congress opposed the verdict and held that the Kerala government was being partisan and wa not respecting the religious beliefs of the temple and the devotees. A political warfare between the CPM and the Congress, BJP was seen on the streets of Kerala, with one RSS sympathizer dying in the protests. To add on, some women journalist were heckled and were sent back. Social activist Triupti Desai had also planned her trip to the temple and vowed to enter the sanctum sanctorum but she could not even leave the Cochi Airport due to heavy protest and threat to life. A clear case of administrative failure led the protesters and right-wing groups to capture the moment and narrate the decisions, as it seemed like the Pinarayi Vijayan led administration suffered from policy paralysis.